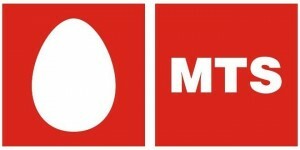 To make 3G popular among high spending postpaid users, country’s top telco Bharti Airtel has launched a never-before-heard promotional offer for its new postpaid customers, under which new Airtel postpaid customers including those are ported in via MNP ( and opted postpaid) will get true unlimited 3G data usage for full 1 month. Best part is it’s totally free and true unlimited without any fair usage policy. This scheme is valid in all 13 circles expect Kerela and TN. The scheme will be deactivated after one month. This plan is applicable for only for new postpaid/ MNP customers without any data plan. 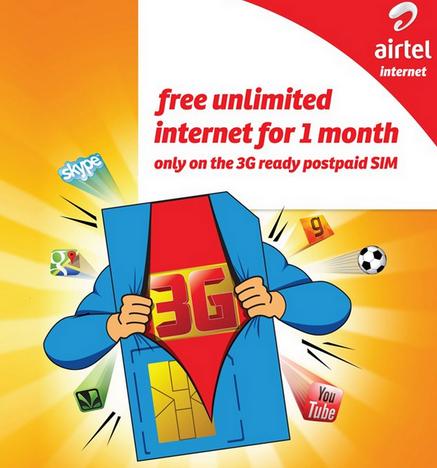 It is available only on 3G postpaid connection in most circles where Airtel offers 3G services, this program is being rolled out gradually to cover Pan-India as per regulations governing in each circle. This plan is applicable to individual & self-paid corporate customers. This plan is not applicable for company paid customers. For any customer who avails a new post paid connection, the first bill is generated in the next 7-10 days. As per the plan, Airtel will offer a discount of Rs 1000 (at volume based charging) on the first bill which enables the customer to use 325 MB at 3G speed, post which the speed will be rationalized to 80kbps. Similarly, the customer will be offered a discount of Rs 1000 (at volume based charging) on the second bill cycle till 30th day from day of activation, with a data download limit of 325MB on 3G speed, post which the speed will be rationalized to 80kbps. Effectively, Customer does not pay for his internet usage for first 30 days.